Many people have asked, what could possibly make my Twister’s experience even better than it already is? 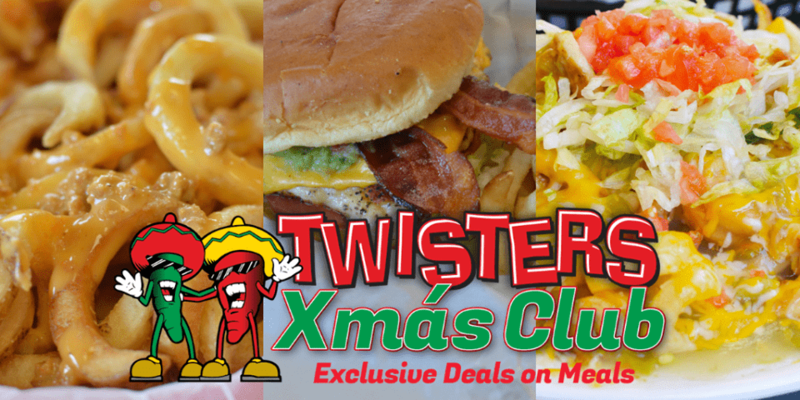 Well, just like green chili spices up any dish- joining the Twisters Xmás club will take it to the next level! This isn’t just any loyalty program, when you sign up for Xmás club, you’re family! As part of our family, you’ll have access to updates and deals that will make your head spin! So what’s stopping you, sign up today in less that one minute and start getting your deals!